Sunsilk has always stood for affordable but quality haircare and they have been trying to break out of this segment to aim for higher ground. 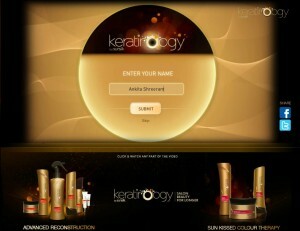 With the launch of the premium Keratinology range, Sunsilk attempts to brush shoulders with the likes of L’Oreal. 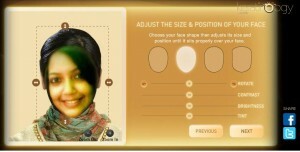 While the entire Sunsilk range is based on the theme of ‘experts’, this contest goes a step ahead to show you what the Keratinology range can do for you, complete with a virtual makeover. Basically, the campaign aims to make you aware of the product while also creating a desire to try it out. This interactive campaign is entirely based on Youtube. Malaika Arora Khan, the brand ambassador and a representative from the Sunsilk Keratinology Hair Studio walk you through a guided makeover where you upload a photograph of yourself, choose your hair type and length and then go for the treatment of your choice. You then see a video of this treatment using Keratinology products and at the end of it, you are presented with your new avatar with blow-dried, styled, salon-like hair. The entire thing takes just a few minutes and though you cannot pause the video, you can always go back to previous sections and you are allowed 100 seconds at each stage to take in what you see and hear. With 1338 subscribers and 364,272 view, Sunsilk already had an admirable Youtube base of followers to launch this fantastically designed and conceptualized campaign. Too many contests and campaigns are being run on Facebook these days and honestly, a static contest stands no chance with a video or Flash-based one. 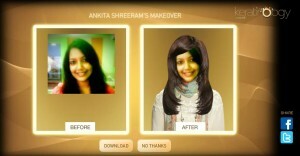 The Virtual Hair Studio by Sunsilk Hair Experts is a brilliantly conducted campaign on the best platform ever: Youtube. Here is one campaign that proves that you do NOT need to give away free goodies or prizes to attract attention. We cannot reiterate enough that contests have to be tailored to the the nature of the brand itself. For a hair care product, a Youtube-based virtual campaign works wonders. This could work equally well for a skincare product as well or even for home decor. Haircare products are all about demonstration and customisation and this campaign does both for Sunsilk’s Keratinology range. Honestly, this campaign is nearly perfect. The campaign is supported by additional tutorials, videos and expert hair care tips on Sunsilk’s Youtube channel. 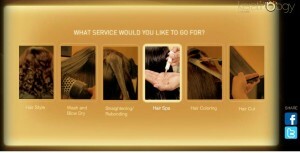 Very cleverly, at the end of the whole virtual experience you are also presented with a link to purchase the Keratinology products at a discount. I nearly bought them myself! The only add-on I can think of is to extend the hair studio and allow users to try on different hair styles and cuts and create their own styles as well. The possibilities are limitless and they are all a complete pleasure to try!